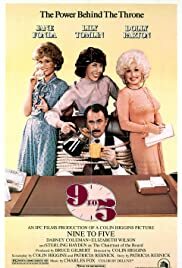 Dabney Coleman ... Franklin Hart, Jr.
Violet Newstead: [getting high with the other two women and discussing Hart] I don't think I could ever shoot a gun, I don't care... I can't understand guys like Hart, who go out and shoot things, like Bambi and Thumper... and that cute little skunk? ©1980 Velvet Apple Music and Fox Fanfare Music, Inc.